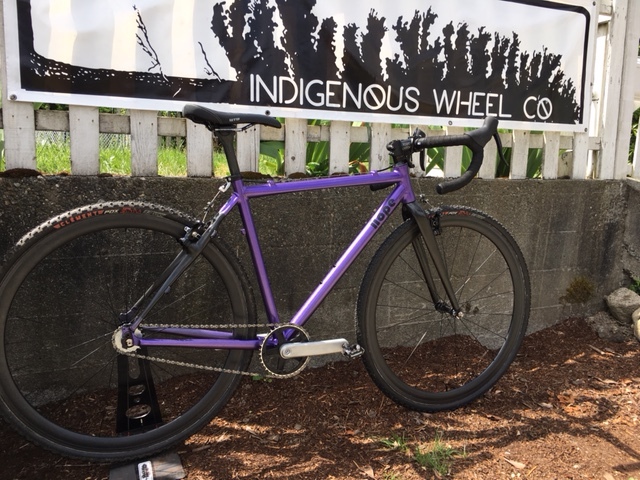 Single Speed Cyclocross: Project Nope - Indigenous Wheel Co. Many of us have contemplated trying cyclocross. It looks fun, intense, and it’s completely wild when you add mud. After you start to get a few seasons under your belt, though, sometimes the sport can lose a little of its luster. Some people take a year off, other people abandon ship altogether. 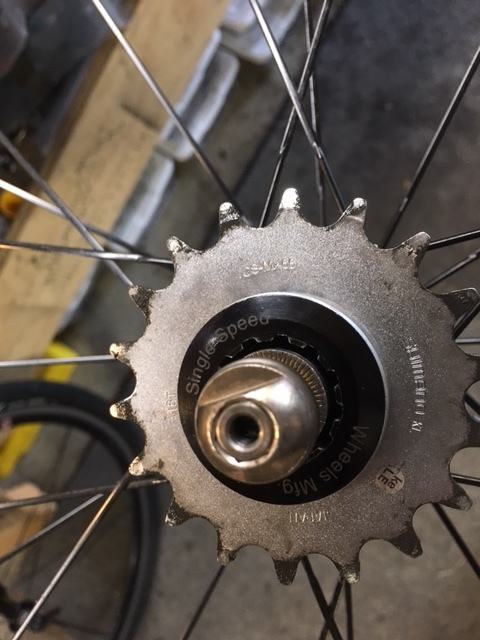 For the die-hards, they sell their souls, ditch the gears, and buy a single speed ‘cross bike! 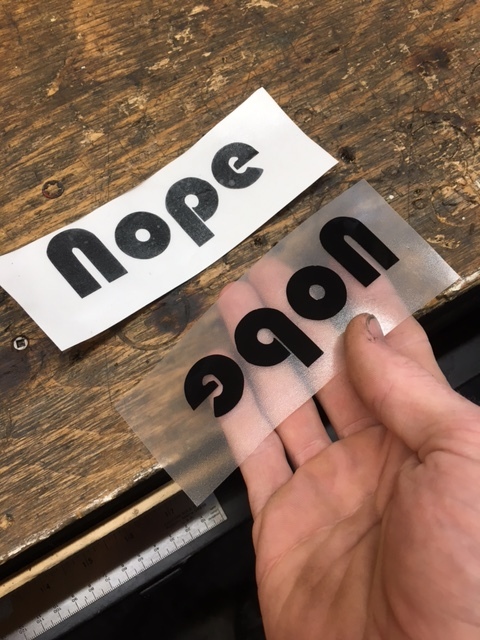 In this case, it is IWC Factory Team rider Kelsey Cohan and her new to her Indigenous Wheel Co. “Nope”. 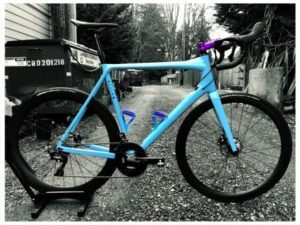 ‘Cross bikes can be hard to size to some people. 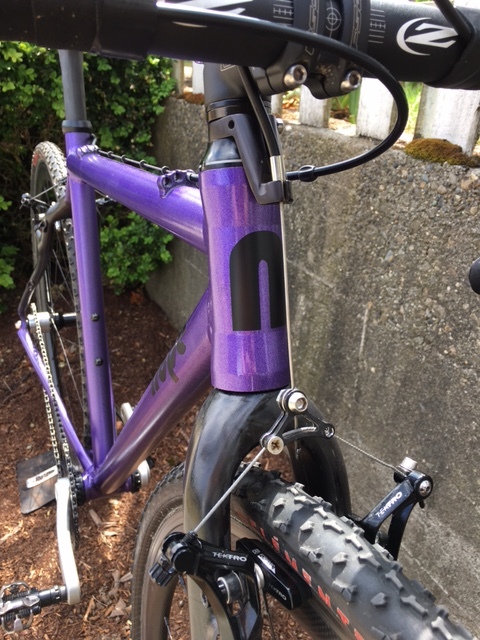 There are old geometries, tall top tubes, lowered bottom brackets, etc… all factors that play a key role in choosing a frame that will fit. In this case, Kelsey stands at 5’2″ [Editor’s note: 5’2” and a half] and in the bell curve for average rider height, she falls far to the left. Luckily, you can still find these rare, small frames, it just take some persistence and a Paypal account. 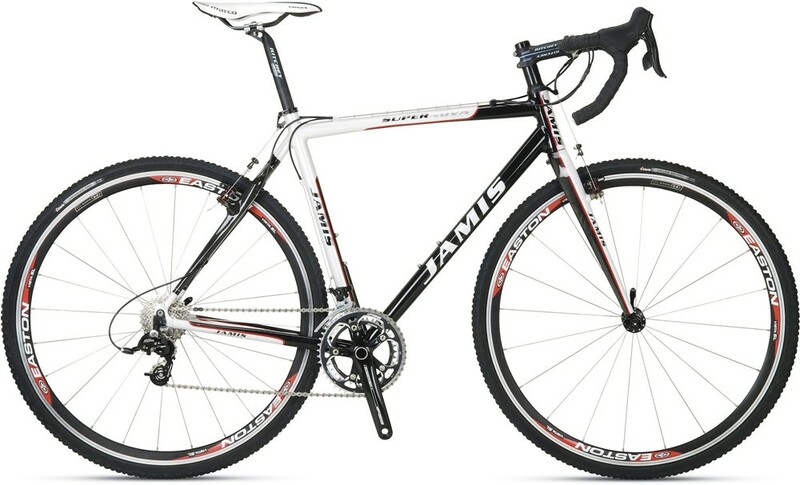 2009 was a great year for Cyclocross. Marianne Vos and Zydenek Stybar obtained their world championship titles. 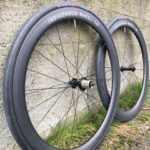 Cannondale had an unstoppable ‘cross team with Driscoll, Powers, and Johnson, and Jamis Bikes made the Supernova in a size 48cm. 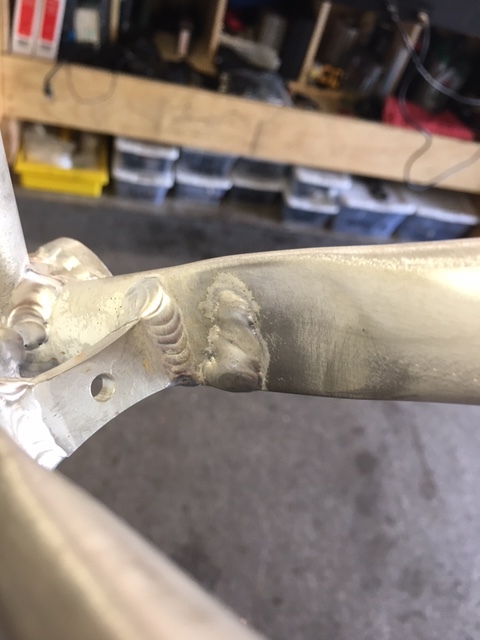 The bike was bought as a frame and everything about it was just a tad rough. 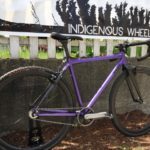 The paint was scratched up, there were a few dings (probably from bike-checking competitors on the run-ups), and one extra surprise, as you’ll read below. The plan was simple. 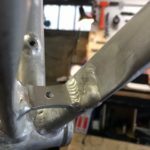 Strip everything down to bare metal and give this bike a new life. 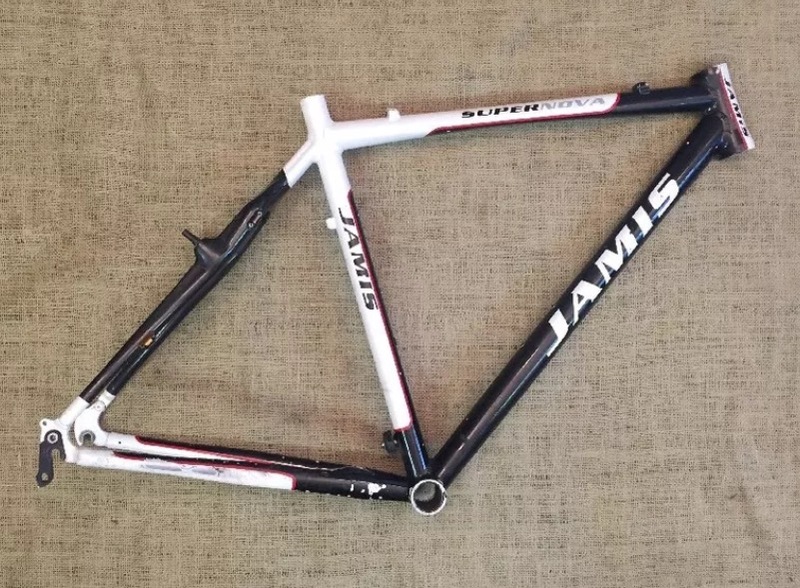 However, while stripping the original paint off, I found a two things: The frame was made in the Kinesis factory (a big plus), and there was a crack in the chainstay (not a big plus). 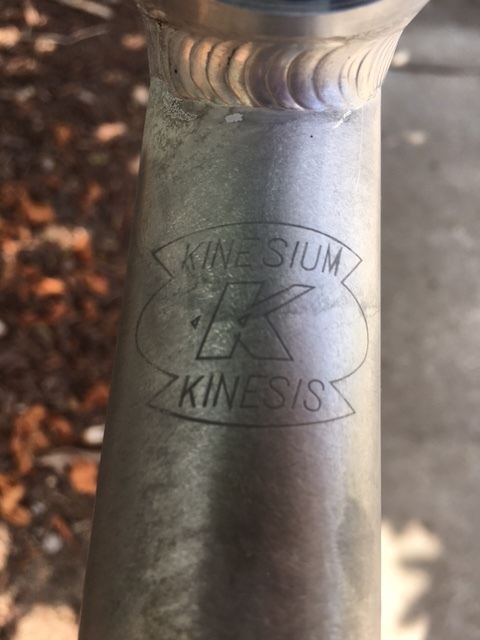 If you’ve ever ridden an alloy frame, chances are it was welded by Kinesis. 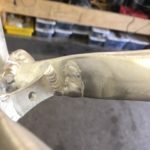 Instead of returning the frame, I pursued a local fix first. 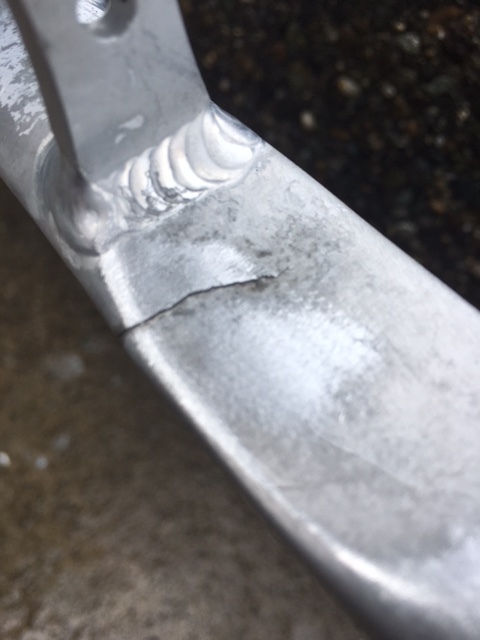 I know a local welder who is able to work with thin-walled aluminum. 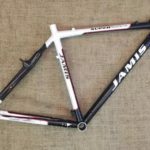 I passed the frame off to him and a few weeks later, he gave me back a small frame with a big, aluminum band-aid. 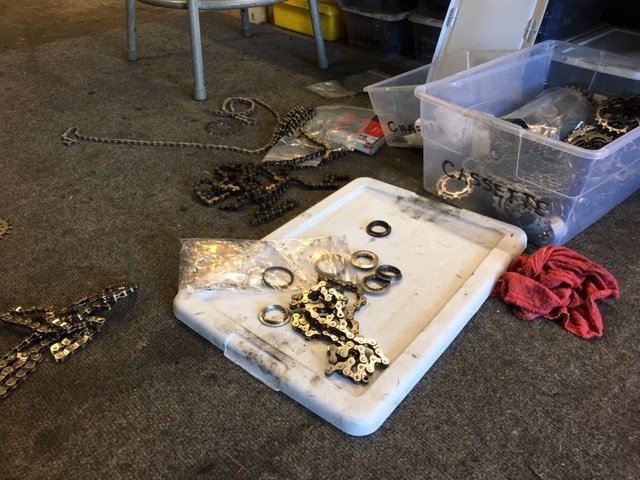 After all the searching for a small frame, finding one, and repairing it, it was time to get this project moving forward. 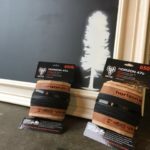 Paint day was 85ºF, so prep and paint were done over the course of 8 hours. The final color of choice?  Krylon: Shimmer Purple. For the first 5 seconds of using the spray paint, it was nothing but glitter that came out. 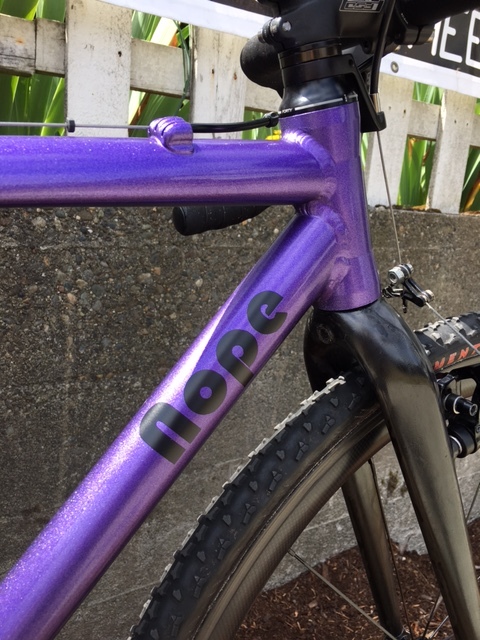 Pictures do not do justice with how much glitter there is on this bike. The rest of the build went by fast. I have had a small stockpile of parts collecting dust for the last few months in hope of completing this project. 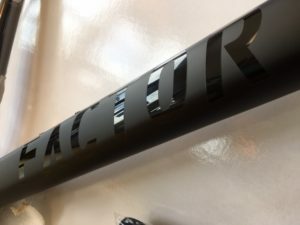 Handlebars, stems, seatpost, brakes, even the BB30 to English Cannondale Crankset. 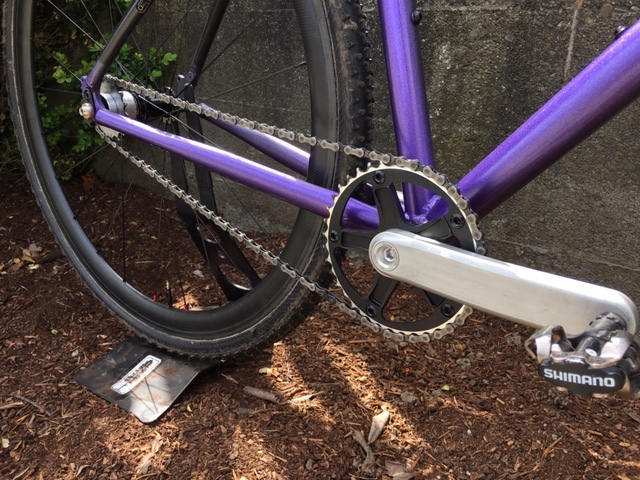 The hardest part of this build was trying to run a 38/18t gear combo that is popular among women single-speeders without a chain retention device. 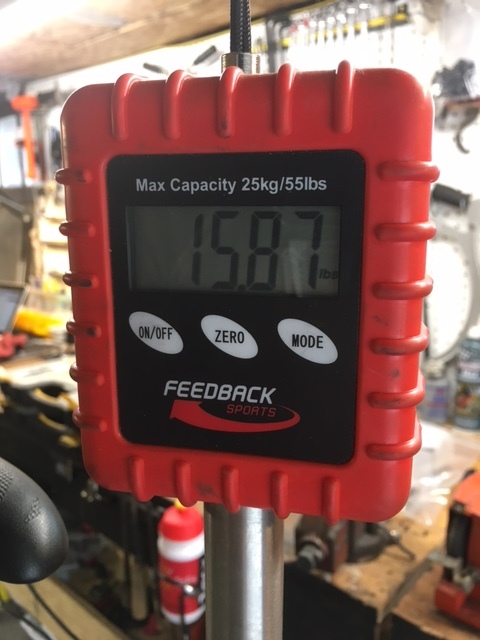 A little help from the “Magic Gear Calculator”, my totes of spare parts, and an 80% worn chain for perfect tension, the bike’s drivetrain was dialed. 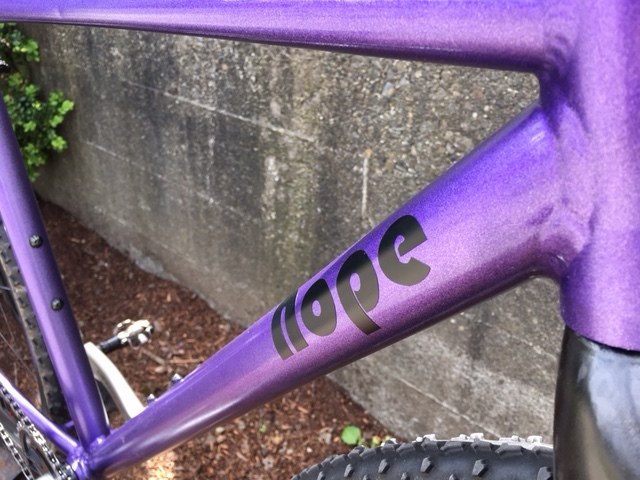 As for naming the bike, it only seemed appropriate to keep it in line with Kelsey’s sentiment towards racing ‘cross. 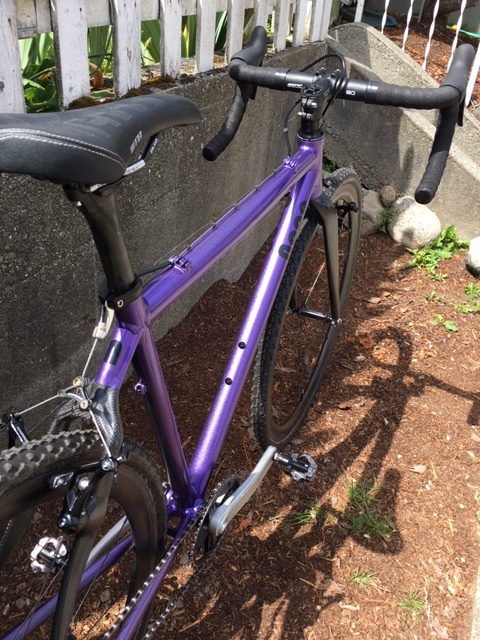 The finished build came in under budget, underweight, and fabulous. 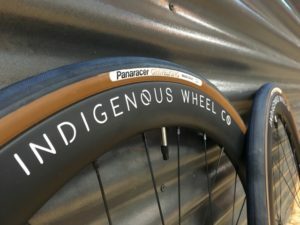 From frame to full build, Indigenous Wheel Co. can build you anything. The derailleur hanger was hacked off and turned into a bottle opener. 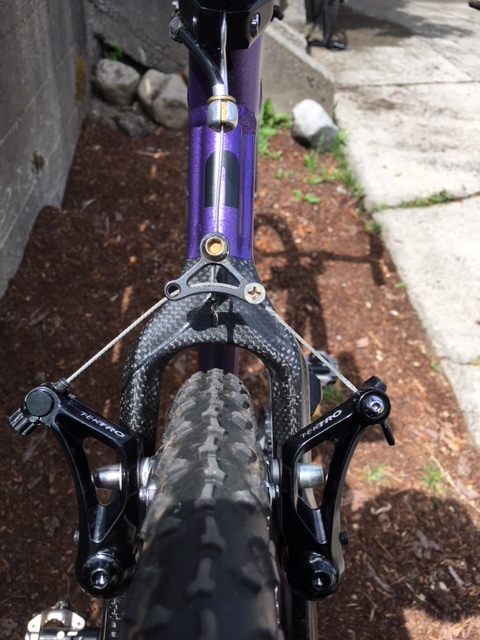 Easton EC90 seatpost, Zipp 38cm handlebars, SRAM carbon levers, and an FSA stem with ti bolts adorn the cockpit. 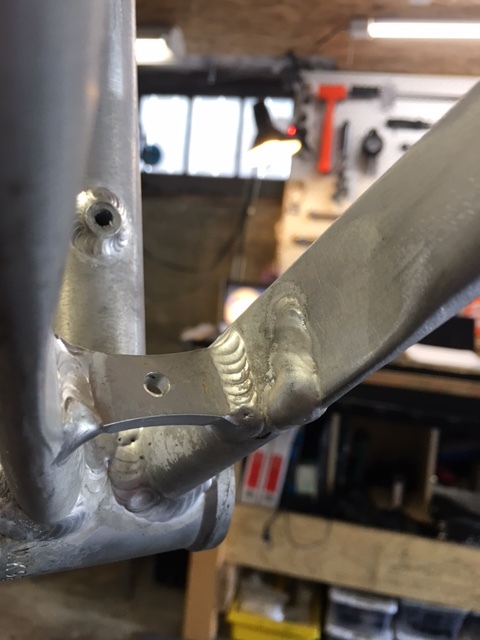 Alloy bolts were used to shave weight on the canti’s. 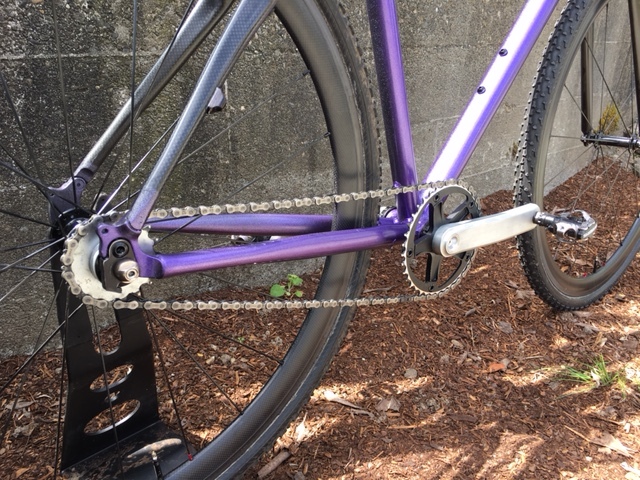 Clean looking setup with no chance of dropping a chain. With input and trust from both the rider and builder, we both have bike we can be proud of. 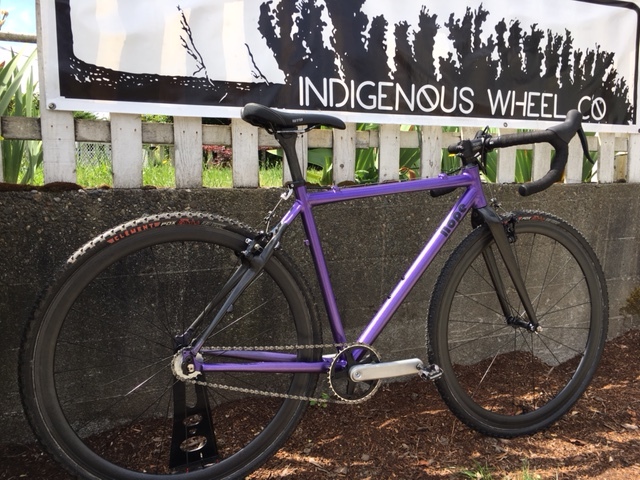 A big congrats to Kelsey and her new ride for the ’17/’18 ‘cross season.